Italy Tour 1999 - Slide Show - Travel Adventures in Colorado, Rocky Mountains, Italy, etc. 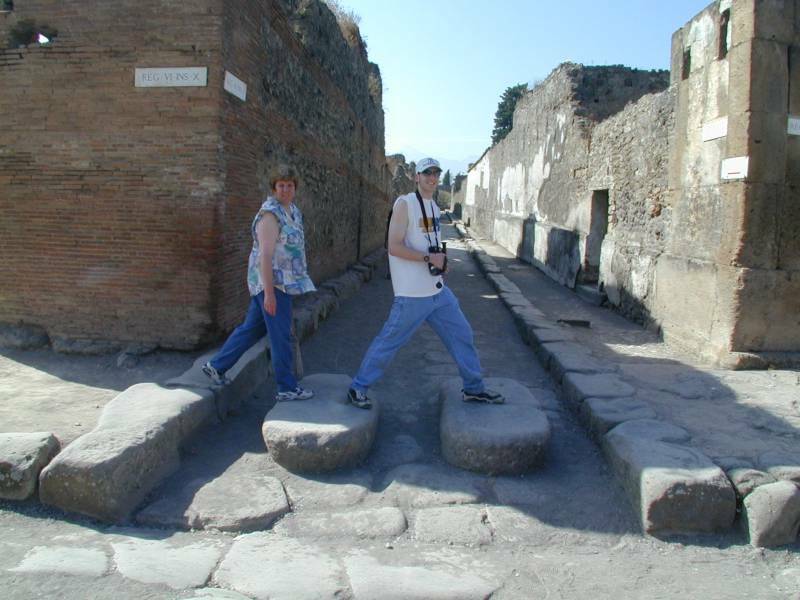 Mom & Joe (on Abbey Road?) in a street in the ruins of Pompeii.